U Mobile kick-starts 2017 with a huge bang, unveiling a prepaid pack that would delight any social media lover. UNLIMITED POWER Prepaid comes bundled with App-Onz™, offering unlimited data for Facebook, Instagram and Twitter. From tomorrow, prepaid customers will be able to share, upload and view posts on Facebook, Instagram and Twitter without ever having to worry about data! 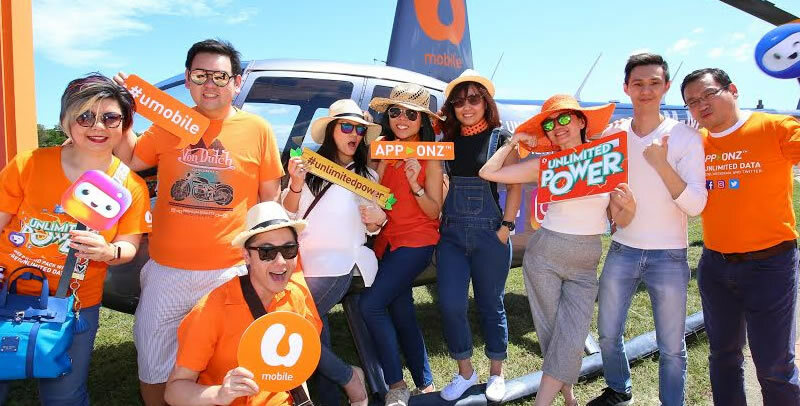 To mark the launch of the very social media-friendly prepaid product, U Mobile invited their guests to a picnic coupled with a helicopter ride, giving them endless opportunities to upload, stream, view, post, comment and share their experiences with friends and family. U Mobile’s UNLIMITED POWER Prepaid pack will be available to customers from tomorrow, 17 February 2017. The new prepaid pack also offers 300 minutes of free calls every month to all U Mobile numbers. Existing U Mobile prepaid customers can switch to the new UNLIMITED POWER Prepaid by dialling *118*6*2*3# from their phones starting tomorrow, 17 February 2017. App-Onz™ is also available to customers on Hero Postpaid (U28, P50, P70 and P98) and Broadband plans. App-Onz™ will be activated for existing postpaid customers between 17 February and 25 February 2017, while new postpaid customers will get to enjoy the service immediately upon signing up.